Is Google really to blame for your web performance? Wherever you go these days people are blaming Google for something or other. “Google won’t list my website properly,” is a common refrain. Or “Google is biased towards people who advertise”. Yet much of what we hear about Google and its impact on our websites is frankly untrue. Indeed, frequently Google goes out of its way on its blogs to dispel the myths. The real issue, though, is nothing to do with Google. It is to do with the psychology of the website owner or operator. The issue is something called “locus of control”. You can see this happening with the current debate about sugar in our diet. The World Health Organisation recently started a debate about sugar, seeking to create new guidelines on the amount we should have in our diet. Many people, though, are blaming the food industry for adding sugar to our diets. In other words, the people putting the blame on the industry are effectively saying someone else is responsible for what goes into their own mouths. It is rather like people who become addicted to cigarettes blaming the tobacco industry for making them in the first place. The issue with “locus of control” is that some people believe whatever happens in their life is something that is being controlled from outside. “It’s not my fault, it’s theirs,” is what people are saying. Being overweight is nothing to do with me, it’s the fault of the fast food industry. Being late for work each day is nothing to do with me, it’s the fault of the railways. Being unable to do maths well is nothing to do with me, I had teachers who could not teach. Such claims are from people who have an “external locus of control”; they see everything as someone else’s responsibility. However, there are people with an “internal locus of control”. Entrepreneurs, for instance, tend to be people with a high level of internal locus of control. They don’t believe they cannot do something because other people limit them. Instead, they believe everything that happens is down to themselves. So, the people who blame Google for poor ranking or for trying to work against them are people with an external locus of control – blaming Google for their lack of online success, and not looking at themselves and their own behaviours. What is clear, though, is that if you have an external locus of control you are much less likely to change your behaviour to make any situation better. 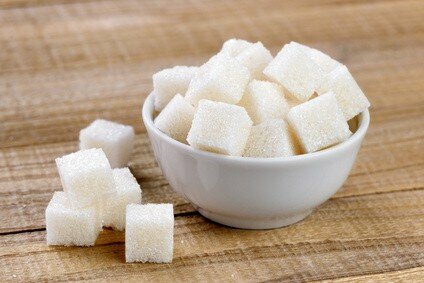 If you blame the sugar industry for your poor diet you are never going to change your food intake. Only once you accept it is your own responsibility – by having an internal locus of control – can you change. So, when it comes to Google and your website, all the time you think that Google is out to fox you, you won’t do things to change and thereby improve your website performance. That means, the LESS you think about Google, the MORE your website will do well because you will be taking active steps to make it better. You are less likely to get your website performing well when you worry about what Google will do.